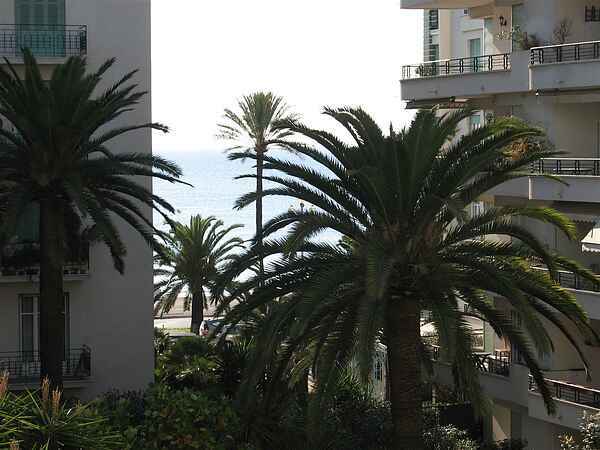 PROMENADE DES ANGLAIS -- Spacious, charming centrally-located one-bed flat, 64 sq.m., huge terrace, overlooking tropical gardens and the Mediterranean. Third floor, lift. Near bakeries, shops, restaurants, beach. Flat-screen TV, WIFI, fully equipped kitchen. Info on request. Monthly rental, December to April. Warm and comfortable flat -- sometimes Christmas lunch on the terrace! Bakeries, shops, a market and numerous bistros and restaurants in the near neighbourhood.